Black’s biography of FDR is impressive in both scope and size – it weighs in at 1,134 pages…and about four pounds. This book is obviously the result of exhaustive research by the author and much to his credit Black seems to have read the memoirs and/or a biography of every major player in Roosevelt’s life. As a result, this review of FDR’s life is not merely comprehensive, it is encyclopedic. From the microscopic examination of Roosevelt’s ancestry through his final months of life, it is hard to imagine there will ever be a single-volume biography which more thoroughly covers FDR. And despite rumors of the author’s fondness for Roosevelt, this book proves surprisingly balanced. Insight and analysis do not pervade this biography, but Black periodically offers nuggets of wisdom which are extremely perceptive and provide significant clarity for the reader. And among the most compelling sections of this book are Black’s extensive coverage of German atrocities against the Jews and his coverage of the Yalta Conference. Unfortunately, Black’s writing style is not particularly elegant or easy to digest. Instead it is matter-of-fact and detail-rich with esoteric language sprinkled liberally throughout. The book’s flow is uneven with some chapters flowing effortlessly while others require significant patience and great fortitude. 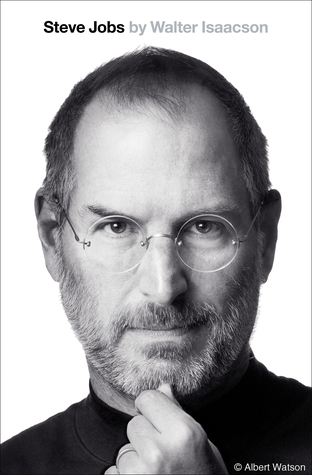 One of the book’s most significant weaknesses is posed by its brainstorm of facts, anecdotes and observations. The blizzard of detail provided on any given topic often muddies, rather than clarifies, an issue. Black is curiously predisposed to presenting a dizzying array of facts without distinguishing between the trivial and the truly paramount. This issue might be alleviated by thoughtful introductions to each section, a series of overarching central themes binding disparate facts, or by distillations at the end of each chapter providing the historical essence of preceding events. But Black rarely pauses to provide the bigger picture; he is usually too busy painting his image of the forest floor to review the broader features of the landscape. Also disappointing is that Black has difficulty humanizing relationships or describing events with vibrancy. FDR’s relationships with his mother, Winston Churchill and Lucy Mercer, in particular, are described with all the care and excitement of a microwave oven owner’s manual. It is often through a person’s relationships with family, friends and colleagues that the essence of that individual can truly be understood and appreciated. 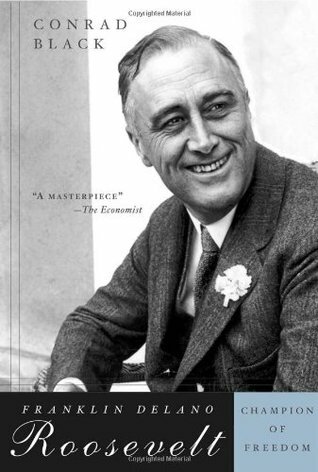 In this book that type of familiarity with FDR is missing. But this challenge is not unique to characters in Black’s biography – events themselves also fall prey to this shortcoming. The famous Doolittle Raid, for instance, is described in a way that makes it hard to imagine the audacious raid being the subject of a dramatic Spencer Tracy movie. Overall, Conrad Black’s “Franklin Delano Roosevelt: Champion of Freedom” is a comprehensive and extremely thorough review of the life and legacy of one of America’s most highly regarded presidents. A patient scholar will find much to enjoy in this careful biography…but a mere presidential enthusiast will find it daunting and the rewards smaller than the book’s size would suggest. 3.5 stars is awfully low on your scale. Curious as to the degree to which the order in which you read the books affects your view. Had you read Brands first would Smith has seemed as good? I often wonder how precise / consistent my ratings are (for many reasons) but have concluded that if I were to re-read a book, forgetting the old rating, or if I could go back in time and read them in a different order…the vast majority of the ratings would change by 1/4 of a star or less – or not at all. I suspect only 4 or 5 of the 145+ books would change by 1/2 star or more. But if I could start all over, in addition to providing an overall rating I would probably also break it into its two components: an assessment of its readability / enjoyment as well as an assessment of its historical accuracy and value. How come my reply from yesterday didn’t post? Not sure – if you can try to re-post I will delete this thread and leave that one up. Before the Trumpet is high up on my list next to read.The only disappointing thing is I wish Ward would of done a final volume that covered the 1928-1945 period.